Early in March of 2012, a local boat owner called our technical line and asked about repairing his cast iron wing keel with WEST SYSTEM® Epoxy. 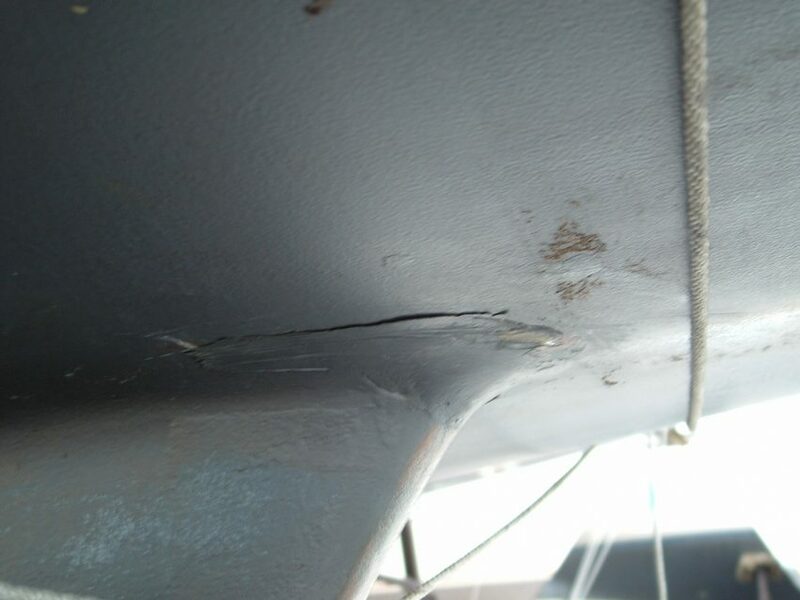 He asked if a technical advisor would be willing to take a look at the cracks on his keel and recommend the best way to repair it. 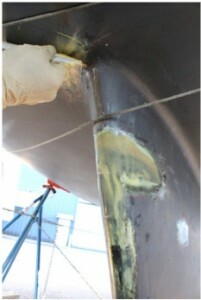 After looking at the boat I gave the customer a call back and recommended using G/flex® Epoxy. The advantage of G/flex is that it is a toughened system that has a tensile elongation of more than 30 percent, which would prevent cracks from reappearing in the fairing compound. The boat owner then asked if I knew of a person in the area that could do the repair. I told him that I would be willing to take on the job and thought it would be a good opportunity to write an article about repairing a keel with G/flex Epoxy. 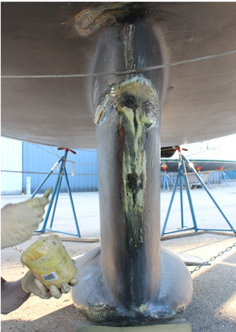 Multiple small cracks in fairing compound on each side of keel varied from 6″ to 12″ long. 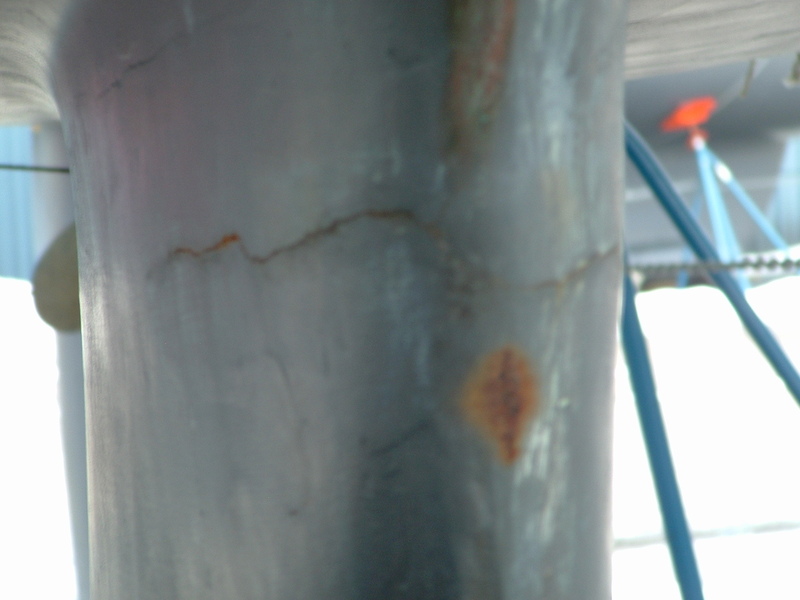 Cracks continued to the leading edge of the keel and in areas where the iron was exposed it rusted. After looking around the boat yard many of the boats had similar cracks. The first step was to sand a shallow bevel on each side of the crack to increase surface area for the epoxy. 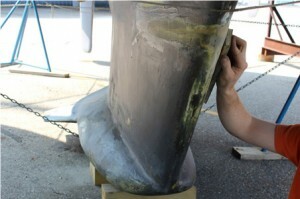 The metal surfaces were sanded with 60-grit to expose bright metal. In the areas where the iron was exposed, G/flex was applied and the uncured epoxy worked into the metal with a wire brush. 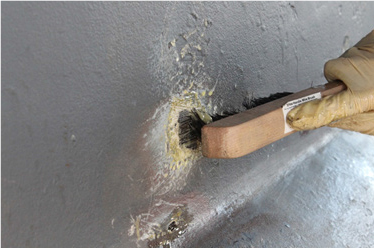 This step removes the weak oxidation layer and suspends it in liquid epoxy where it is sealed, and exposes fresh metal for better adhesion. G/Flex 655 thickened version was used to fair the sanded surfaces. A plastic squeegee worked well to fill all low spots with epoxy. 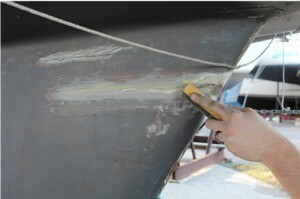 Once the epoxy had cured, the surface was cleaned with a Scotch-Brite® pad and water to remove amine blush (greasy film) that forms on cured G/flex. The surface was dried with plain white paper towels to avoid leaving any contaminates behind. 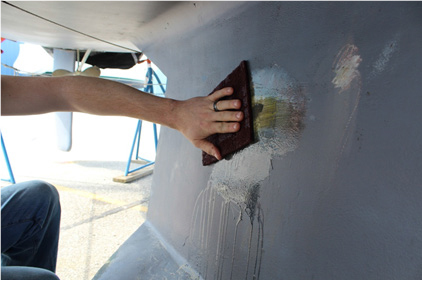 The surface was sanded fair with-60 grit by hand before applying paint. G/flex 655 sands better than less flexible epoxies. An orbital sander would be a better way to get the job done faster but in this case, power was not available. 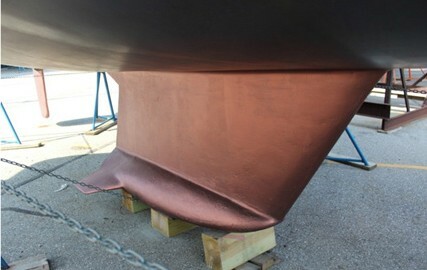 One year later I got a call from the boat owner to do more work on different areas of the keel that had rusted. In the areas that were repaired with G/flex, it had held up great. Repeating the steps I used before, I am confident that G/flex will take care of the problem.